A fast-paced thrilling adventure, full of danger, romance, and deception--perfect for fans of Veronica Roth's Divergent series or Marie Lu's Legend. With little skills to help provide for her family, Sienna clings to the two things that come easily--lying and stealing. But not all thief-for-hire assignments go as planned. When a covert exchange of a stolen computer chip is intercepted, she becomes entangled with a corrupt government official who uses her thieving past as leverage, her mother as collateral, and the genetically modified poster boy she's falling for as bait. In order to rescue her mother, there may only be one option--joining forces with the Fringe, an extremist group, and their young leader who's too hot to be bad. Problem is, these revolutionaries aren't what they seem, and the secrets they're hiding could be more dangerous than Sienna is prepared for. In the end, she must be willing to risk everything to save the one thing that matters most. 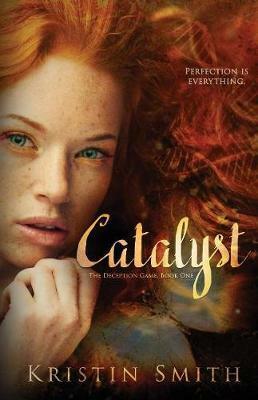 Catalyst is a thrilling adventure of danger, romance, intrigue, and deception.